Relax inside the lounge, fully equipped with shower suites, a nursery room, and other facilities! nothing much different from Plaza Premium Lounge in others places. managed to fully utilized my time and fill up my stomach with the available simple dish. shower have to qued for almost an hour, even though only 6 person Infront of me. 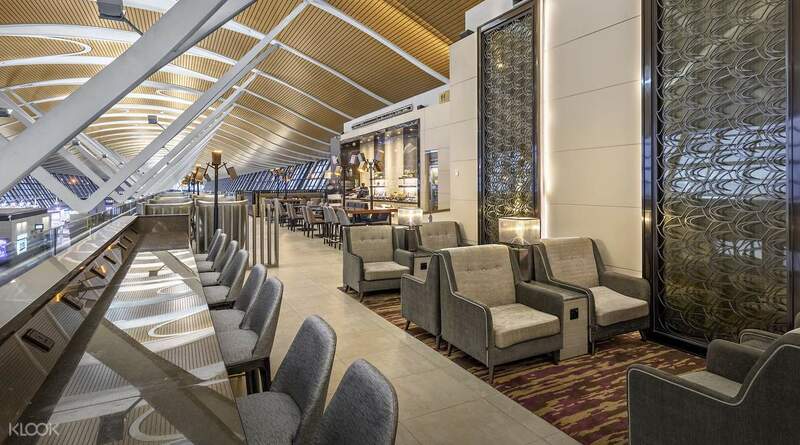 Relax at the China Eastern Plaza Premium Lounge at Shanghai Pudong International Airport! Enjoy a personalized and relaxing experience. 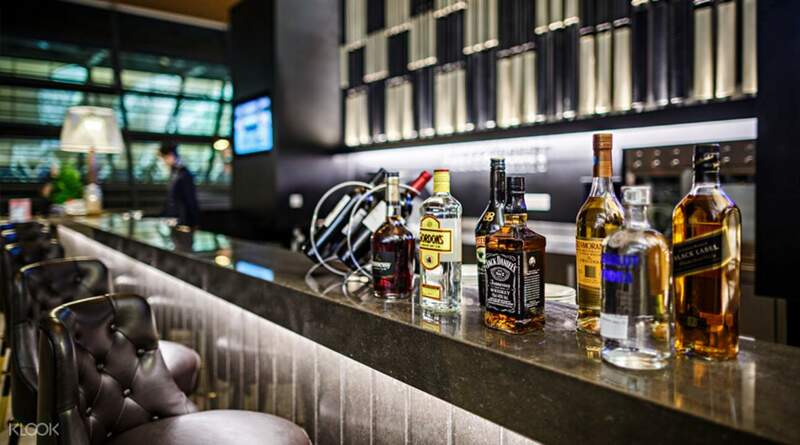 Equipped with state of the art facilities, including comfortable lounges, free access to high-speed WiFi, a buffet with a live cooking station, a leisure area, nursing room, and more, there couldn't be a more relaxing way to pass the hours while waiting at the airport! nothing much different from Plaza Premium Lounge in others places. managed to fully utilized my time and fill up my stomach with the available simple dish. shower have to qued for almost an hour, even though only 6 person Infront of me. nothing much different from Plaza Premium Lounge in others places. managed to fully utilized my time and fill up my stomach with the available simple dish. shower have to qued for almost an hour, even though only 6 person Infront of me. Used lounge 77. Friendly service especially at reception. Food selection was mainly Chinese with limited international cuisine. My family tried the noodles at the noodle bar and noodles were served piping hot and was delicious. Shower and washrooms were clean- basic amenities were available at the shower rooms. Would use the lounge again. Used lounge 77. Friendly service especially at reception. Food selection was mainly Chinese with limited international cuisine. My family tried the noodles at the noodle bar and noodles were served piping hot and was delicious. Shower and washrooms were clean- basic amenities were available at the shower rooms. Would use the lounge again. Pleasant enough space in the Terminal 2 Lounge 77, with a range of free food and drink, including a range of alcohol. The seats were comfortable and it wasn't crowded at the times I went. The one thing missing was showers, which would have been welcome in transit from London to New Zealand. Pleasant enough space in the Terminal 2 Lounge 77, with a range of free food and drink, including a range of alcohol. The seats were comfortable and it wasn't crowded at the times I went. The one thing missing was showers, which would have been welcome in transit from London to New Zealand. I stayed at the VIP lounge near Gate 18 of terminal 1. The food selection are very limited. It's mostly Asian dish and the drinks are fair enough. There's only 1 available restroom for male and female and no shower room. 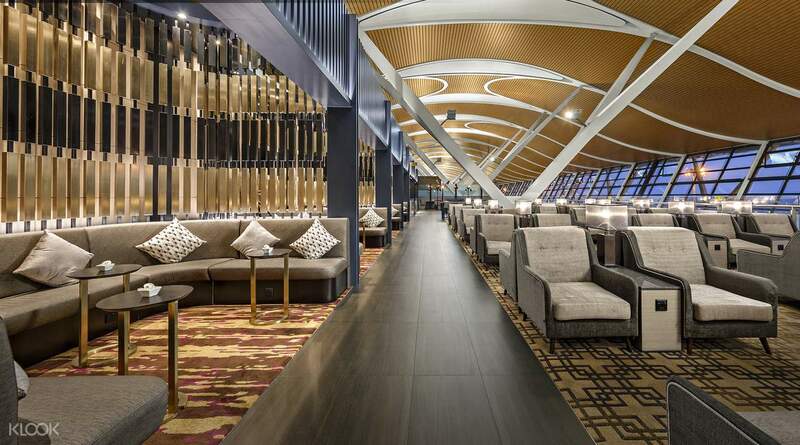 You better choose China Eastern lounge at T2 as it is newly renovated. Another con is no announcement available for boarding so be mindful of your boarding time. I stayed at the VIP lounge near Gate 18 of terminal 1. The food selection are very limited. It's mostly Asian dish and the drinks are fair enough. There's only 1 available restroom for male and female and no shower room. You better choose China Eastern lounge at T2 as it is newly renovated. Another con is no announcement available for boarding so be mindful of your boarding time. Not worth the price. This is located near Gate 77 on the 3rd floor. You'll need to go up to 4th floor to access the lounge. No flight announcement also inside the lounge. Not worth the price. This is located near Gate 77 on the 3rd floor. You'll need to go up to 4th floor to access the lounge. No flight announcement also inside the lounge. I would rate is -ve if there was an option. Most horrible experience ever. Toilets were non functional. No Shower facility. No recliners. No WIFI. Extremely Rude Staff. Fake Picture on Booking Page. Nothing as compared to the picture. DO NOT BOOK THIS LOUNGE. I TRIED TO CANCEL AND GET REFUND BUT THEY REFUSED. WASTE OF MONEY. I would rate is -ve if there was an option. Most horrible experience ever. Toilets were non functional. No Shower facility. No recliners. No WIFI. Extremely Rude Staff. Fake Picture on Booking Page. Nothing as compared to the picture. DO NOT BOOK THIS LOUNGE. I TRIED TO CANCEL AND GET REFUND BUT THEY REFUSED. WASTE OF MONEY.